I can’t wait to see what awesome projects get shared with us today! We are finally getting the rain we so badly need. The cold weather makes me crave a big bowl of warm soup, so this week I made Lasagna Soup from What’s Cooking With Ruthie. It’s not very often you find something that everyone in the family enjoys, but Ruthie’s Lasagna soup did the job! I made it with gluten free pasta and it tasted AMAZING! If you need a great soup recipe check out our 25 Fabulous Fall Soups roundup! 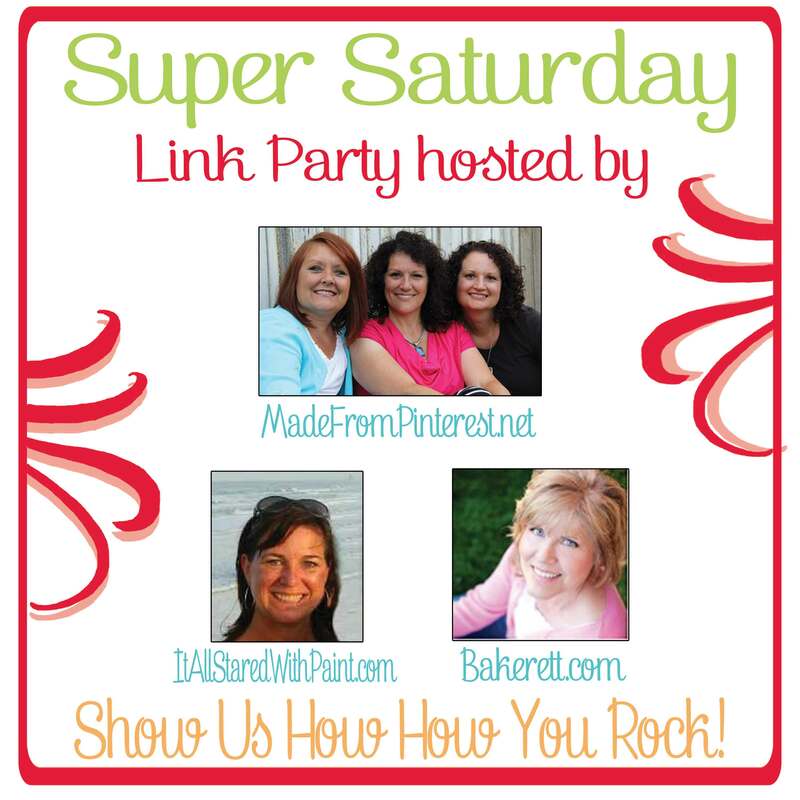 We have EXCITING news…… Linda from It All Started With Paint and Mason Jar Crafts Love is joining us as a co-host to our Link Party. We are thrilled to have her on board, make sure to stop by her blogs and give her a big welcome!